What a fun past couple years it has been in the digital marketing landscape; we've seen hummingbirds, ads displacing organic listings, phantoms, ads displacing organic listings, rank brain, and of course ads displacing organic listings. It has been such a long time since my last post that back when I was last writing for SEObook we were still believing in the timelines provided by Google employees on when Penguin was going to run next. Remember that? Oh, the memories. The reason I'm back is to share a tip. Normally I don't share SEO tips because by sharing information on a tactic, I end up burning the tactic and killing whatever potential usable market value remained on its shelf life. Why share then? Because this isn't something you can kill; it involves people. And killing people is bad. To explain how it works though, I need to explain the two concepts I'm smashing together like chocolate and peanut butter. The chocolate, aka Influencer Marketing – my definition of influencer marketing is having someone tell your story for you. Some people view influencer marketing as paying someone like Kim Kardashian $50,000 to post a picture of herself on Instagram holding a sample of your new line of kosher pickles. While that does fit under my definition as well, I consider that aspirational influencer marketing since her audience is primarily comprised of being aspiring to be Kim. Also equally valid is having Sally your foodie neighbor posting that picture in exchange for getting a free jar of those delicious pickles; in this particular case though the influence would be considered peer level influence since Sally's audience is going to be comprised largely of people that view Sally as their equal, and possibly recognize that Sally as a foodie knows her food. Personally, I am biased, but I prefer lots of peer influence campaigns than a single big budget aspirational influence campaign, but I digress. If you want to learn a lot more about differences in the campaign types, I spoke with Bronco on the ins and outs of influence. The peanut butter, aka Online Reputation Management, aka ORM – while I would hope reputation management doesn't need to be specifically defined, I'll define it anyhow as changing the online landscape for the benefit of a client's (or your own) reputation. 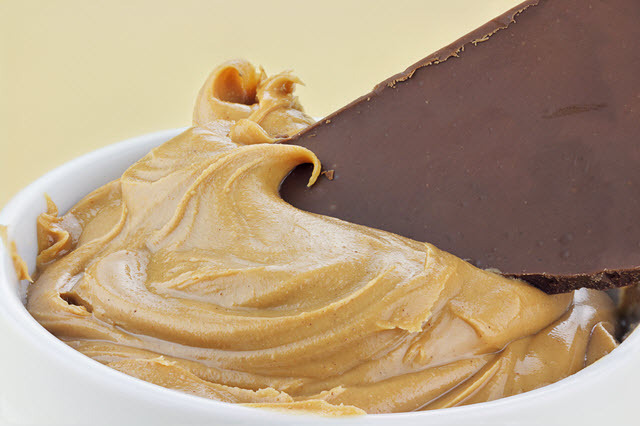 Peanut butter is a really good analogy for ORM because a lot of work gets spread around in a lot of directions, from creating hundreds of thousands of properties designed to flood the SERPs and social channels as a tail that wags the dog, to straight up negative SEO. Yeah, I said it. If negative SEO wasn't made so much more available due to Panda, Penguin, and the philosophical neative a priori shift, in ORM would not be the industry that it is today. Use aspirational influence to find a blogger/writer to talk about your client or product. Use peer influence indirectly to let a more difficult to approach blogger/writer “discover” your client and write about him or her. Use aspirational influence as a means to gain links to some properties. Seriously, this works really well. Some audiences will write a series of articles on whatever certain individuals writes about. Use peer influence to change tone/meaning of a negative article to something more benign. Use peer influence to find bloggers/writers to discuss concepts that can only be disucssed by referencing you or your client. Use peer pressure influence to get material removed. Use aspirational influence to change the mind of blogger/writer (think politics – this works). Use peer influence to change links from one target to another in source material (this occurs quite a bit on Wikipedia too). THE™ TRUMP® CARD©: Use aspirational influence and peer influence in combination, which I call compulsion marketing, to inspire frightening movements and witchunts (coordinated DOS attacks, protests, crap link blasts, et al). My business partner at my influencer marketing network Intellifluence, Terry Godier, and I also refer to some of the above topics under the umbrella of dark influence. I'm sure this list isn't even close to exhaustive, mainly because I don't want to go too deep on how scary one can get. If you need to address such things, I still take on select ORM clients at Digital Heretix and can help you out or refer you to a quality professional that will. Combining concepts and tactics is often a lot more fun than trying to approach a tactic singularly; when possible, work in multiple dimensions. Think of a way that I missed or some cool concepts that could be paired to be more powerful? Let me know on Twitter.